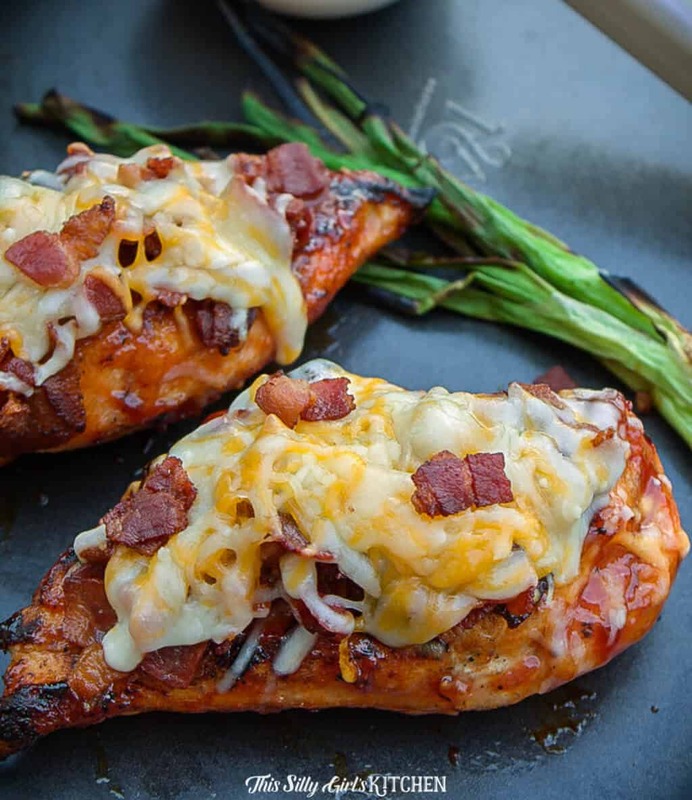 Monterey chicken, an easy grilled bbq chicken topped with BACON and melty cheese. 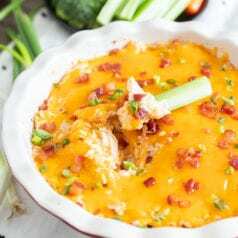 This Monterey chicken recipe is a fun chili’s copycat recipe and perfect for any weeknight meal. Woo hoo! It’s time for another grilling recipe! I’m super pumped to share today’s recipe because it’s a copycat, I got to grill; that means easy cleanup AND it came out way better than I imagined it would. So, yea you’re really in for a treat today! Every time we go out to Chili’s (which is about every 3-4 months, we have one a couple miles from our house so it’s pretty convenient.) Jeremy gets the Monterey Chicken and it’s always great. I love the combination of bacon, cheese, and bbq sauce. I’ve made chicken Monterey at home a couple times in the oven but taking it out on the grill is where it’s at! Take me to the recipe for Monterey Chicken already! 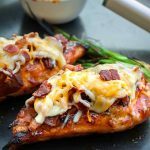 If you would rather not hear my super helpful tips and tricks, FAQ, and my overall awesomeness and get straight to this delicious Monterey Chicken – you can very easily scroll all the way to the bottom of this post for the full printable FREE recipe! Bon appetit. It’s insane how easy this is to whip up as well! I love a good copy cat recipe! One trick I have for making a successful dinner while grilling out is to take your sides out to the grill with you! I was boiling away some potatoes for some garlic mash potatoes while cooking the chicken. That way you don’t have to keep running back inside to check the stove, easy! I also always get my grill station ready before heading outside. This way I won’t forget anything and have to run back inside. Try using a tray like this one here! Can I put the bbq sauce on the chicken monterey as soon as I start grilling? Don’t baste the chicken as soon as it hits the grill or else the sugars in the BBQ sauce will burn. And we don’t want that! At what temperature is chicken cooked and safe to eat? Chicken is fully cooked at 165°F. Check the internal temperature with a meat thermometer like this one! 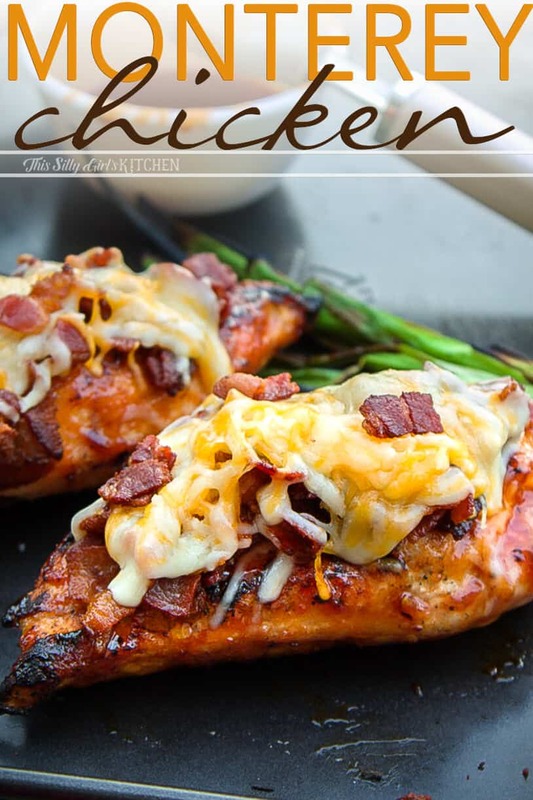 Chicken Monterey- a delicious dinner every time! Monterey chicken chili’s copycat recipe – you can’t go wrong with this crowd-pleasing meal! You can also make this into a Monterey chicken sandwich. So good! Dice and cook bacon it in a skillet over medium-low heat until crispy. Set aside. Season chicken breasts with salt, pepper, and the dried spices. Heat grill and grease grates, place chicken on grill over medium heat. Let cook until almost done. When the chicken has an internal temperature of 150°F, baste with BBQ sauce on both sides and continue cooking until it reaches an internal temperature of 165°F. 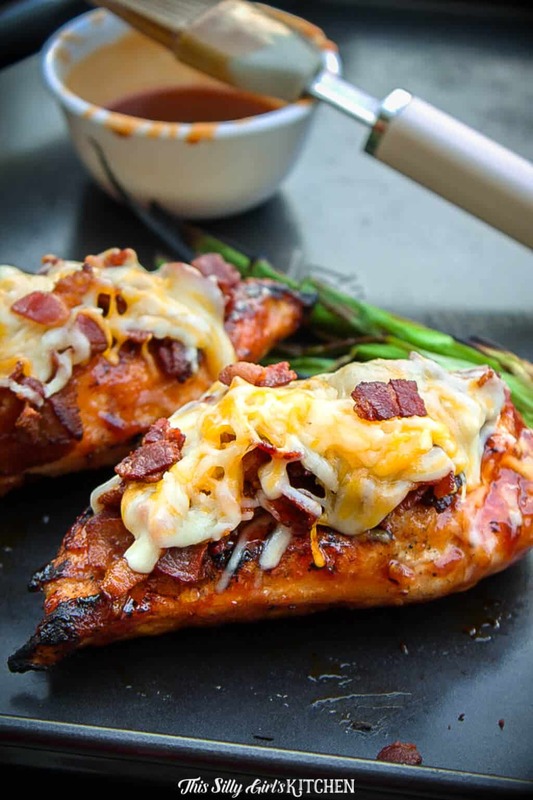 When chicken is cooked through, place half of the bacon on top of each piece. Mix the cheeses together and spread evenly over each piece. Yummm, doesn’t that look amazing?! 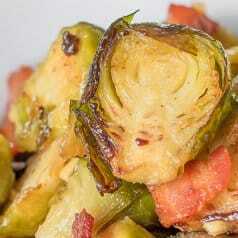 It made for a very satisfying meal, served with the mashed potatoes and Brussel sprouts! 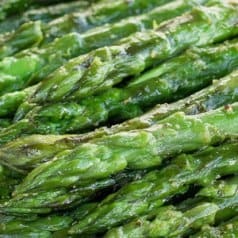 I will be making this recipe, again and again, this summer on the grill! What’s your favorite dish to grill out?? This recipe is enough for two portions. So, just double or triple the ingredients as required! 1/4 Cup Monterey/Cheddar blend cheese or just cheddar is good! Before we start grilling, cut bacon in medium dice and cook it in a skillet over medium-low heat until crispy. Set aside. Season chicken breasts with salt, pepper, and the dried spices. Place top of the grill down and let the cheese melt, this will only take a couple minutes. Serve. 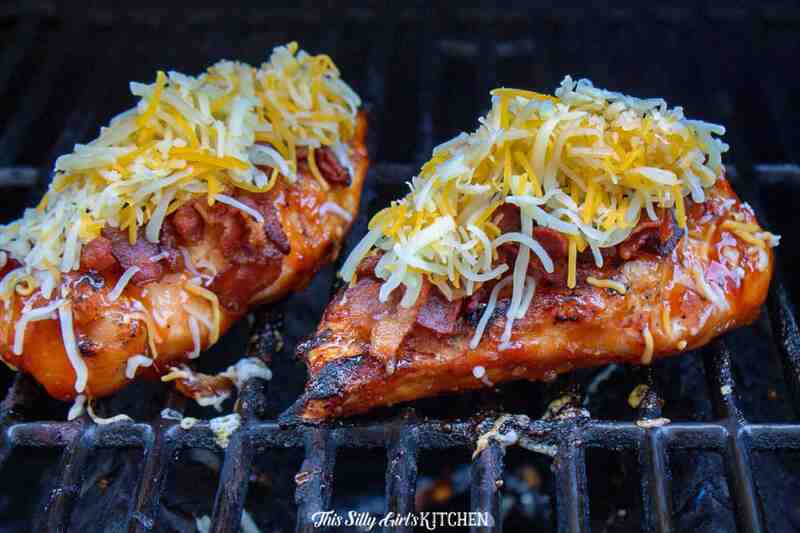 Don’t forget to go see Parrish’s recipe for Grilled Everything Chicken! Thank you! I have a similar recipe only I call it Western Chicken. It always makes my mouth water! Love it. Thanks for posting and that tomato and corn salad looks yum!! I want to make this tonight! It looks so yummy. What if I don’t have a grill though? Any alternatives to cooking it? You can definitely bake it easily! Just put on the bbq sauce about 5 minutes before the chicken is cooked through, still yummy! Made this tonight. Awesome. I brined the chicken first and sprinkled fresh avocado and tomato with the bacon over the top. It was a surefire hit. Thank you. Will become part of our summer grilling rotation. This looks so good! Yum!! I have a copycat recipes cook book that I purchased on QVC years ago, this has inspired me to get it out and see what all I can make. Pinning! This is what I order EVERY time I go to Chili’s! This needs to go on the dinner menu this week! Thanks for linking up with What’s Cookin’ Wednesday! This looks so delicious! I am pinning this and will be making this sometime this summer for sure! I am always looking for new chicken recipes! 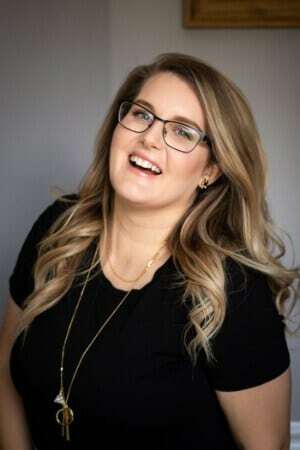 I would love it if you would stop by and share this or one of your other fantastic recipes at my new link party at: Celebrate it Sunday! So excited to try this recipe – I’m making it tonight! We don’t have a grill so we’re using the oven. What temp should I set the oven to, and how long should I leave it in? Do I need to flip the chicken? Such a newbie in the kitchen! Sorry I didn’t read this until now. I hope it came out good! I would set the oven to 350 degrees. Cook the chicken until it hits a temperature of 155 degrees, then add the bbq sauce. The chicken is done when internal temp is 165 degrees on the chicken. I’m not exactly sure how long it would need to bake for. It depends on the size of the chicken pieces. You do not need to turn them, but you can if you want. Then, finish then with the bacon and cheese in the oven just for a minute or so until the cheese melts. Hope this helps! I’ve been looking for a monterey chicken copycat recipe, and decided to go with this. I made it tonight, and it was AWESOME! Thanks for this recipe. I cooked the chicken in a skillet and used precooked bacon for ease, and it was absolutely delicious. So EASY to whip up, and so tasty. We had seasoned oven fries and garlic Parmesan corn on the cob for sides. Very satisfying meal and it will be in regular rotation! What brand of bbq sauce so you use ? My favorite store bought bbq sauce is Sweet Baby Ray’s.